Welcome to chess-players.org. You one stop destination when you want to know more about the worlds best chess players. We are constantly adding more biographies and are working to build the worlds most comprehensive library of chess biographies. Who is the best chess player of all time? Who is the most interesting? Would Paul Morphy (born 1837) beat Magnus Carlsen (born 1990) if they could play each other? When it comes to chess, everyone has an opinion, and several methodologies has also been developed in an effort to compare the greatest chess players in history. Statistical methods is one way to go, but they don’t really work for comparing players from different generations that never had a chance to play each other. For contemporary players, Fédération Internationale des Échecs (FIDE) base their ranking list on the elo rating system. This is a statistical model devised by Arpad Elo in 1960 and further elaborated by him in the 1970’s. FIDE adopted it in 1970 and uses it to calculate the relative skill levels of players. The difference in rating between two rated opponents is used as a predictor of the outcome of the match. So, two chess players with identical rating is expected to score the same number of wins. A player rated 100 points above his opponent is expected to score 64 percent. A player rated 200 points above his opponent is expected to score 76 percent. As of August 2015, there are 99 chess players that has ever reached an elo rating of 2700. Of these 99 players, only nine have reached an elo rating of 2800. The list below display the top twenty elo-rated chess players of all time. As you can see, most of them achieved their top rating in 2005 or later. There are three exceptions: Bobby Fischer (April 1972), Anatoly Karpv (July 1994) and Garry Kasparov (July 1999). Rank Rating Player When was the player’s best rating first achieved? The table below show the World Chess Champions in order of championship wins. In this table, a successful defense of ones title count as a win, even if the match itself was drawn. Between 1993 and 2006, two rivaling international chess organizations (FIDE and PCA) and both arranged World Chess Championships and crowned World Chess Champions. Chess and poker are both games that require a lot of thinking, strategies and intelligence. The worlds best poker players are so smart and skilled that they play for a living and they make a fortune out of it. 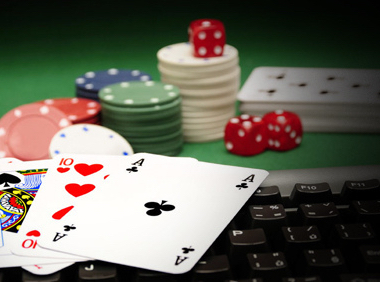 Casino games in general are games that require skill, patience and a fast and smart brain. The best and fastest way to learn strategier for poker- and casino games is to start playing at an online casino where you get bonuses such as free games and extra money when you make your first deposit. The best games that require skill and experience are poker, blackjack and roulette. These games can all give you the opportunity to earn a lot of money if you become very good at them. No matter what game you try, the most important thing is that you are patient and that you accept losses. A good tip is that you use bonuses such as free spins on casino games so that you can try and fail without losing your own money. See all free spins offers at online casinos in EU at Freespins.nu where you find all good casinos with reviews.